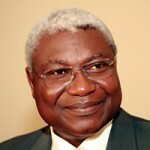 Funmi Ogbue was born at the Military Hospital Yaba in Lagos State, Nigeria to Colonel Musiliu Olusegun Oladeinde (RTD) and Alhaja Ajibade Oladeinde. She attended Army Children’s School and Nigerian Navy Secondary School, Navy Town, Lagos. As daughter in a military family, Funmi’s childhood home moved with her father’s postings. Funmi Ogbue in her role as Managing Director of Jake Riley Limited engages directly with CEOs, leaders in the public service and private sector, entrepreneurs, celebrities and philanthropists, to help them solve their business problems and shape their world. 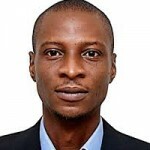 Previously Funmi has worked for Royal Dutch Shell, Ibadan Electricity Distribution Company Ltd, British American Tobacco, Ancorapoint, Abacan, Canadian Occidental Petroleum in Calgary, Canada and Mercer Mergers and Acquisition in the United Kingdom. 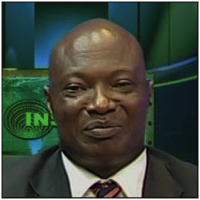 In total, Funmi has over 24 years’ experience largely in the consulting, oil & gas and power industries. She holds an M.Sc. in Organisational Change and Development from the University of Manchester and a B.Sc. in sociology from the University of Lagos. 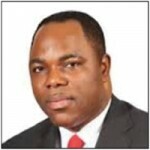 Dr Ayeni is chairman of JKK (Nigeria) Plc, Temple Resources Ltd and Digisteel Integrated Services. He is the founding partner and vice chairman of Ocean Marine Security and sits on the boards of PPP Fluid Mechanics Limited and High Tech Procurement Limited. In 2013, as vice-chairman of Integrated Energy Distribution and Marketing Ltd (IEDM), Olatunde Ayeni led the successful bid to take control of the Ibadan and Yola Electricity Distribution Companies, the first privatization of a national energy asset in Nigerian history. He graduated in law from Ahmadu Bello University, studied strategic industrial growth at Lagos Business School in Nigeria and Harvard Business School, Boston, and holds an honorary doctorate in business administration from Nigeria’s Achievers University, Akure. 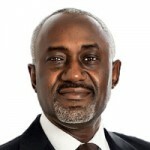 Mr. Gbenga Oyebode MFR is the Managing Partner of Aluko&Oyebode (Barristers, Solicitors and Trademark Agents) with decades of experience in project finance; corporate law; energy and natural resources law; telecommunications and aviation law. He is the Chairman of the Boards of Access Bank Plc. and Okomu Oil Palm Plc. 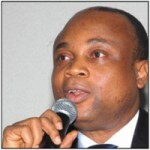 He also serves on the Board of MTN Nigeria and Crusader Insurance Plc. Mr. Oyebode is a Barrister & Solicitor of the Supreme Court of Nigeria and an Attorney at- law of the Supreme Court of New York State. He is also a member of the Nigerian Bar Association and the American Bar Society of International Law. He is on the Africa Advisory Committee of the Johannesburg Stock Exchange. He is also a Fellow of the Chartered Institute of Arbitrators (UK) and the Nigerian Leadership Initiative. He serves as Chairman of the Nigerian Bar Association’s section on Business Law, is a Member of the Order of the Federal Republic of Nigeria (MFR) and Belgian Royal Honour of “Knight of the Order of Leopold”. He holds a Master of Law Degree from University of Pennsylvania, Philadelphia and a Bachelor of Laws degree from the University of Ife. Christian Udechukwu is an entrepreneur and international business development and strategic management consultant. He is the founder of numerous companies including BIAE (Business in Africa Events) UK Ltd (he also chairs its Nigerian affiliate, BINEL (Business in Nigeria Events) Ltd); Osike Synergy Nigeria Limited; and African Market Development Partners. Christian has a BA combined honours degree in history and English language from the University of Nigeria (UNN), and a series of master’s-level honours degrees in the UK. He holds an MA in advanced international studies from the University of Leeds, an MBA in business administration from the Middlesex University Business School, London and studied corporate finance at London Business School. Femi Adefila’s career has been spent on both sides of the political media, first as a newscaster and reporter for the Broadcasting Corporation of Osun State, then as executive media assistant and spokesperson for the Osun State government. He was also the Special Assistant to the Minister of State for Defence, and a public relations expert specialising in government and political communications, with roles including press relations, political marketing and international relations. His academic qualifications include an MSc in peace and humanitarian studies and an MCA in media and public relations from the University of Ibadan. Born in Hammersmith London, Toks is an Engineer and Director businessman; a Risk management/Security expert and Consultant in Nigeria, West Africa. 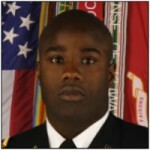 Toks was a U.S Army Officer, and former enlisted U.S Marine. Bronze Star Medal recipient from Operation Enduring Freedom, Afghanistan. Began military career in the enlisted ranks of the Marines; followed by a commission as an Officer into the U.S Army. Toks was a commander, commanding combat ground troops into the most forward enemy terrain of Afghanistan and other overseas theaters across Germany, Europe and the Middle East; a decorated combat veteran; Air-assault, combat action Soldier. Toks’ corporate work spans both the Oil and gas, automotive and Defence sectors. Experience includes BMW and Mercedes-Benz Engineering. In oil and gas, Toks was part of the Shell Nigeria Exploration and Production Company (SNEPCO) engineering team responsible for the Bonga deep-water offshore oilfield. He holds an Engineering degree from Rutgers University, New Jersey and postgraduate studies at Harvard University. 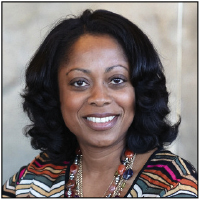 Bunmi Shirley MacNaughton has experience in the Private and Public Sectors in various industries. She has consulted and worked successfully in Telecoms with Cellcom and Macroprime in the U.K.
She has a proven track record in Project Management, Investment Portfolios & Real Estate Development, Retail Solutions and a short stint in the Oil and Gas industry. 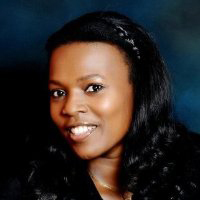 She is currently the Managing Director/CEO at DATOL Global Concepts. She has a PHD in Business Administration and holds an MBA International Business from University of Bristol. She is also an alumnus of University of California Berkeley U.S.A and Ecole Nationale des Ponts et Chaussees Paris, France. Alvari Tarfa has over twenty-two years’ work experience in business development gained from the government and private sectors. He has served as the Senior Special Assistant on Micro, Small & Medium Enterprise Development, Office of the Adamawa State Governor as well as and Senior Special Assistant, Project Development and Finance; Special Projects and Programmes Unit (SPPU), office of the Adamawa State Governor. He was also the former Senior Special Assistant to the Adamawa State Governor, on Special Duties and was also the Chief Operations Officer of Ritaco (Nig) Ltd. 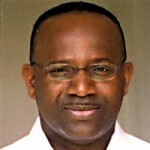 He is currently the Managing Director at Niger-Sahel Consolidated. He attended the Nigeria Military School and holds a BSc. In Business Management from the University of Jos. Mr. Gbolly Balogun is a property developer, development manager, & real estate consultant with over 24 years experience in management. He formed County Estates Limited, his residential property development company, with the aim of providing total project management for owners of land, leaseholders and introducing home ownership for Nigerians in the prime residential areas of Lagos. Alhaji Dantata is a mechanical Engineer. He started his career as the transport director with the Dangote group, one of Nigeria leading conglomerates and rose through the organization. There after he started his own business and currently sits as the Chief Executive Officer of the MRS Group. 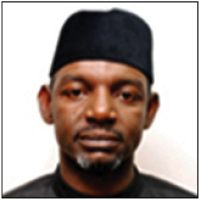 Senator Musa Adede leads the Senate Committee on Transport and is the former vice-chair of the Senate Committee on Drugs, Narcotics and Financial Crime. A graduate of the University of Hertfordshire, United Kingdom, Senator Adede is the founder and owner of King Airlines Limited, a charter airline with a strong growth programme, operating out of Lagos. Angolan President Jose Eduardo dos Santos, who is set to stand down next year after 38 years in power, is one of Africa's longest-serving leaders.